On hand as presenters, Halle and Chloe posed together as always on the white this evening(June 24th) for the 2018 BET Awards at the Microsoft Theater in LA. Halle Bailey wore a NATASHA ZINKO SPRING 2018 ensemble which featured a black leather crop top and a pink & blue checkered print, high waist skirt with a split which she worked. While ankle strap would have worked with her ensemble, I do like her look more with the CHLOE boots. A flawless beauty look finished up her look. 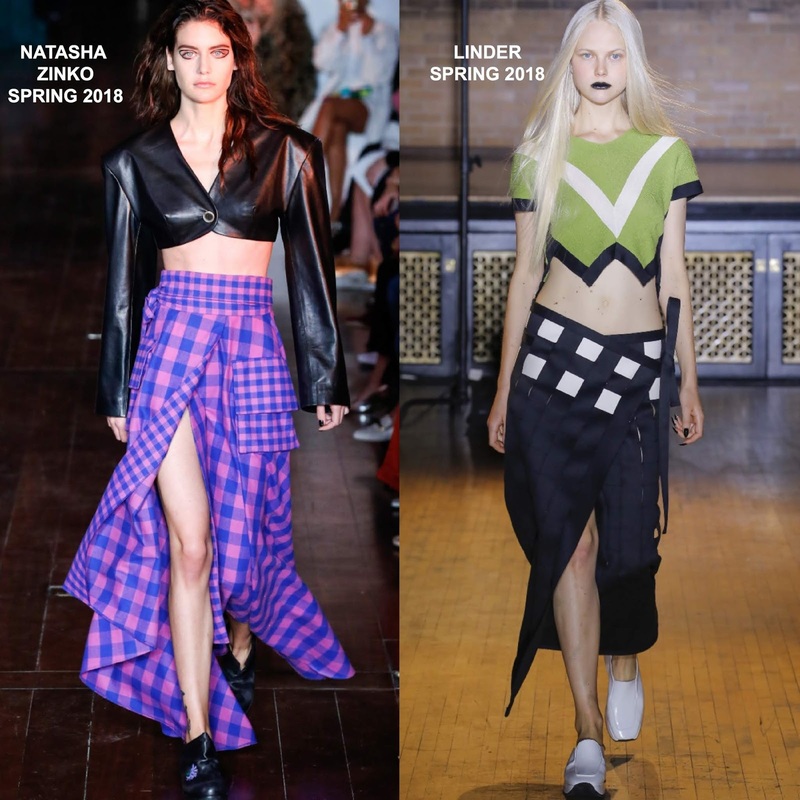 Chloe Bailey rocked a LINDER SPRING 2018 ensemble which featured a light green, white & black paneled crop top and a black & white panel wrap skirt with a split detail. Her ensemble was styled with STUART WEITZMAN thigh-high boots which topped off her look along with silver earrings and a flawless beauty look.